Welcome to Vines Mini Golf! 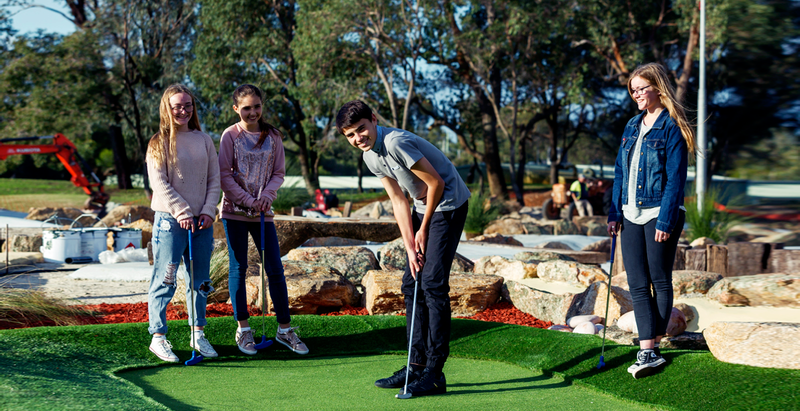 Challenge your friends or family across 18 holes on this beautifully landscaped course set at the picturesque Vines Resort. The perfect activity to keep the little kids (and the big kids!) entertained. No bookings required! Vines Mini Golf is now open! 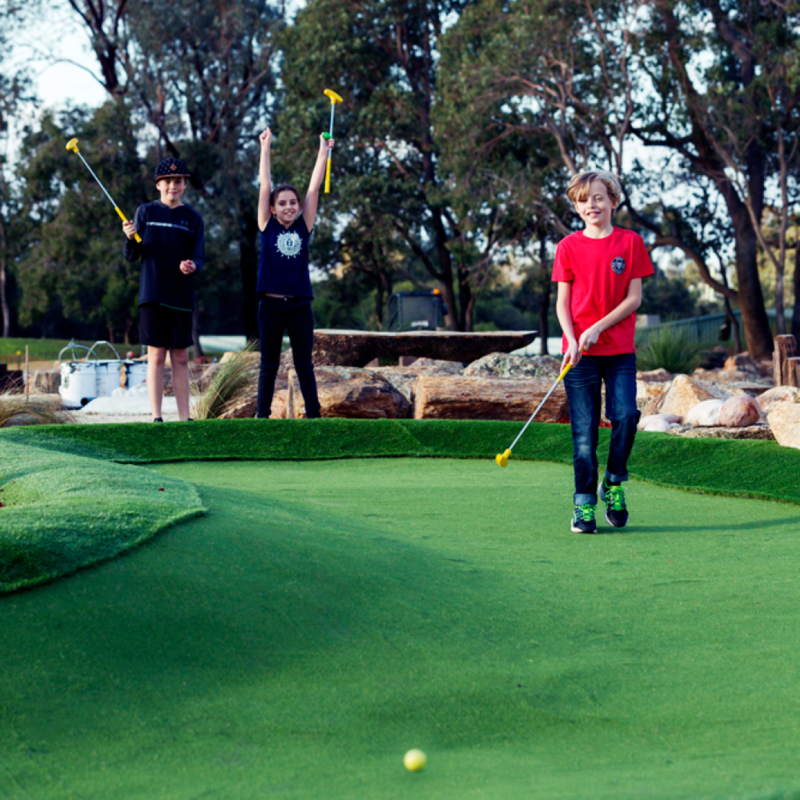 No bookings required so just come on down and tee off on our brand new 18 hole course. 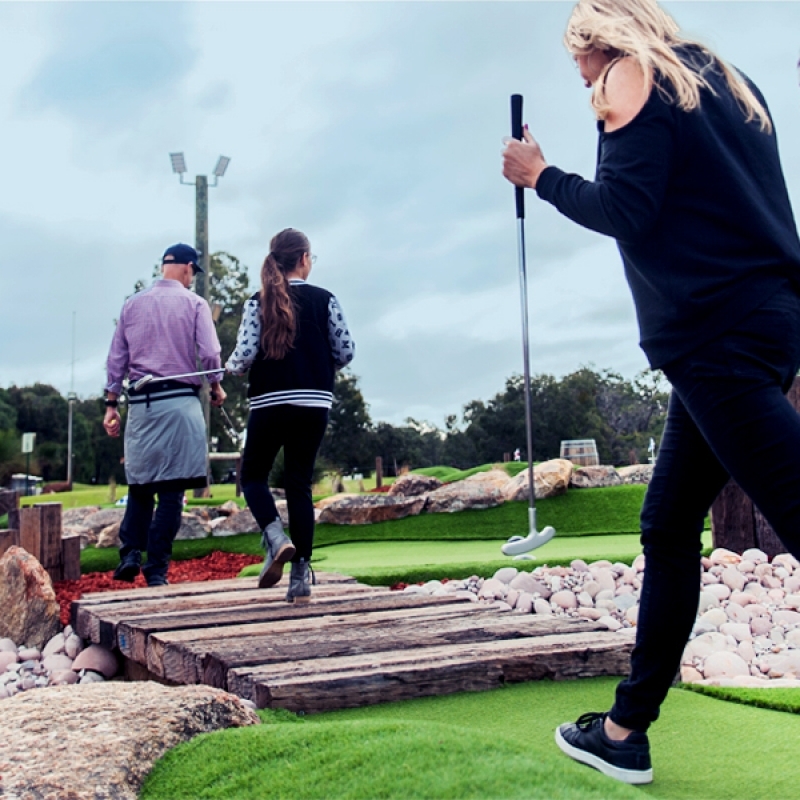 Mini golf is suitable for all ages and is a perfect location for birthday parties, team building or corporate events. We also have ample free parking and a range of delicious food & drinks available during your game. 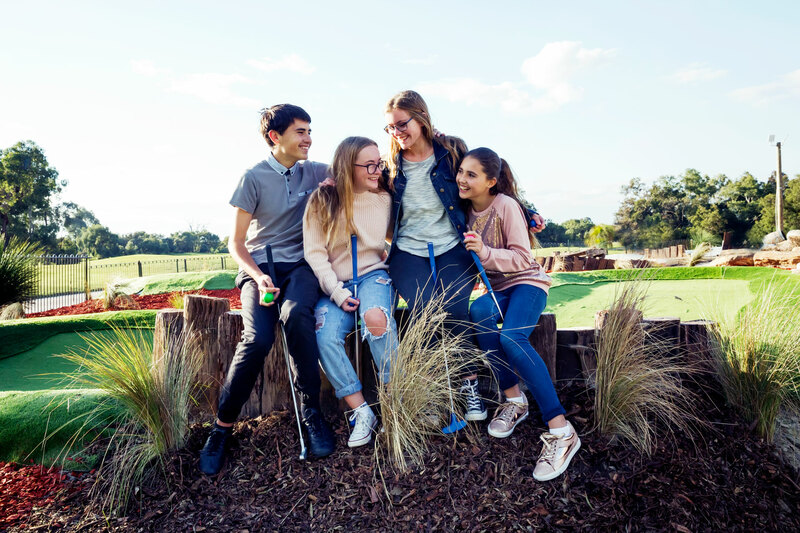 Keep up to date with all the mini golf news via Facebook , Instagram, or sign up to our Newsletter below. Book with us at Vines Resort. 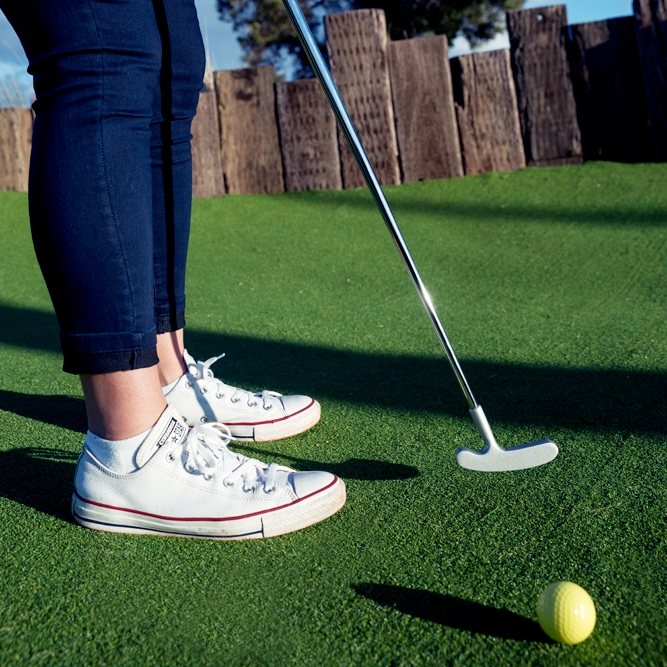 Give the gift of mini golf.